During the solar eclipse two days ago, I was able to take a series of 11 photographs of a pink orb floating next to the sun. 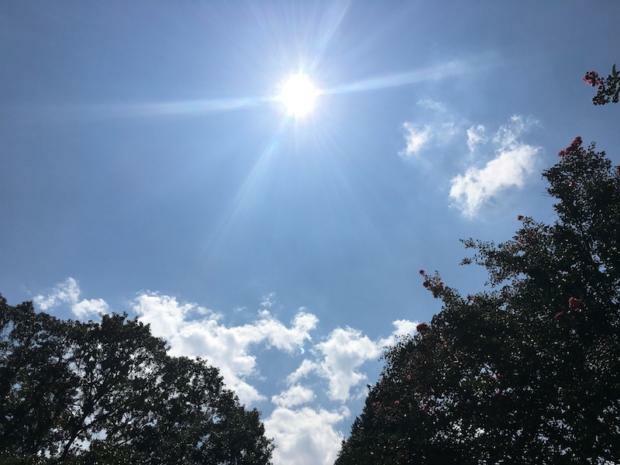 I had started my day as I usually do, with meditation, only on that day I searched my Insight Timer meditation app and listened to two guided visualizations by the soul visionary Jo Muir to celebrate the eclipse. I was already feeling very happy. I worked with two clients that morning, threw down a quick lunch of goat cheese on gluten-free toast and rushed over to the Bobby Jones golf course about five minutes from my home. my friends Virginia Wright, Morgan Lawley and a small group of others to view the celestial events. There I met my friends Virginia Wright, Morgan Lawley and a small group of others who had come equipped with special protective eyewear to view the celestial events. 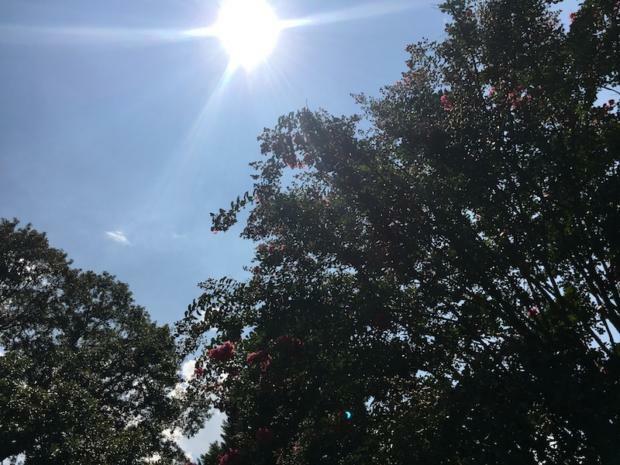 Had we not been wearing our official eclipse viewing glasses, it might have seemed like simply a glorious August afternoon. 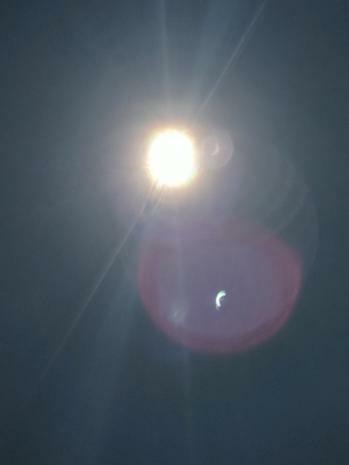 But when you peered up at the sun with the glasses, the eclipse became excitingly evident. Because I wanted to make a photographic record, I began taking photos with my iPhone about 2 p.m. This was somewhat difficult because in order to protect your eyes you had to put on the funky glasses, point your phone up at the sun, try to find the button, click and hope for the best. 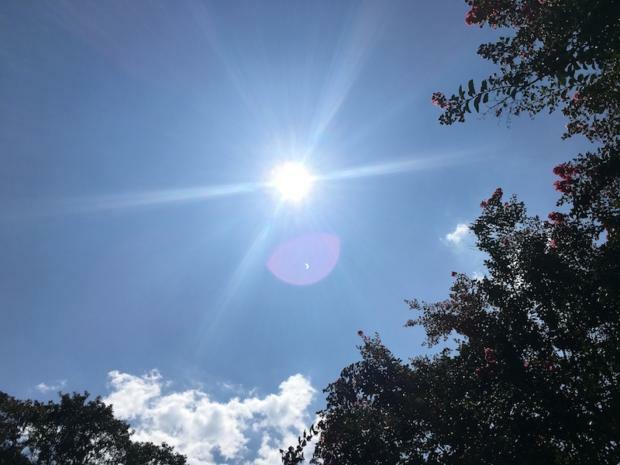 Photo I took seconds before the pink orb appeared. I was photographing away, pointing my iPhone at the sun and then taking a look at what I found when at 2:19 p.m. and 10 seconds the first orb appeared. 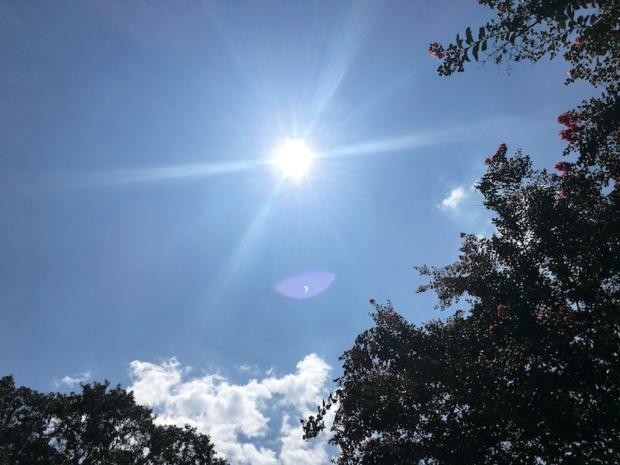 First pink orb photo taken at 2:19:10 p.m. Excited, I kept snapping away. I was following the solar eclipse live on Twitter and noticed that someone else had uploaded a photo that also included the pink orb. I tried to retweet the photo of the pink orb seen by another photographer, but when I went to retweet I received the message that the photos had been removed. I felt excited that someone else had seen the same thing that I did. As I was watching, the pink orb seemed to be moving around in the sky. I kept quietly snapping away. My friend Virginia Wright had brought champagne to share, which only added to the ecstatic experience. 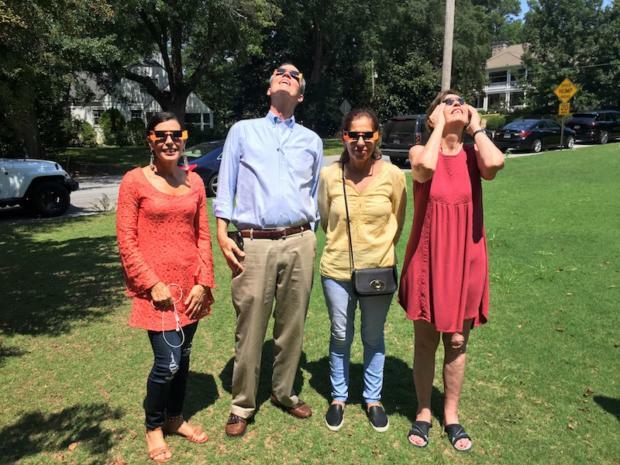 We were among the millions of Americans who had taken time off from their busy work day to enjoy the celestial event. As I observed, the pink orb appeared larger and larger in the sky. It was as if heaven was putting everything in perspective, reminding us all of the grandeur of the universe. Over the course of 18 seconds, I had taken some of the most memorable photographs of my life. Finally, not sure if what I had seen was a mere reflection in my camera, I pointed my iPhone down at the ground to take a picture of shadows in the trees. Twelve seconds after my last photograph of the pink orb, I took another photograph of the same area in the sky and the orb had disappeared. Haven taken other photographs of angels, which you can see on my Angel Photos page at this link, I knew that I had once again been blessed with a vision of the love of heaven. Indeed there was nothing wrong with the camera in my iPhone. Who am I to interpret the messages of God and angels? I, like you who are reading this, am made up of 97 percent of the same molecules as stardust, according to scientific research. So I’m just stardust, a mere fleck in the beauty and wonder of the universe. Knowing I’m just a fleck of dust in the vast expanse of time and space, as I write these words I ask for guidance about the meaning of the pink orb I saw on Monday afternoon. Note from Catherine Carrigan: A few weeks after the eclipse, I received an email from a reader in Alabama who had taken similar photos of the pink orb. WOW! I can tell you that viewing the TOTAL eclipse at tiny Pelion Airport, where we keep our airplane–not far from Columbia, SC was truly magnificent!!! Totally amazing for this little general aviation airport, which usually has just a handful of pilots and aircraft, we had from 75-100 aviation enthusiasts for a cookout and pot-luck lunch with such wonderful camaraderie. Twenty-seven private airplanes flew in–from Georgia, Florida, North Carolina, Baltimore, and New Hampshire. Lots of new friendships were made. We experienced a spectacular 360 degree sunset, DARK skies, a significant temperature drop, and a gorgeous corona around the totally dark sun. It was fun to watch the sun be slowly obscured by the moon and then slowly regain its full brightness. 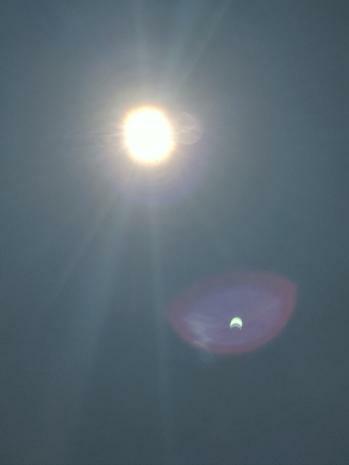 We had about two and a half minutes of “totality”. When Nature’s show was complete, everyone broke into spontaneous applause!!!! PS Lorinda, if you have photos you would like to share from the eclipse please email them to me at catherine@catherinecarrigan.com. We can all use the inspiration!